Don’t worry! 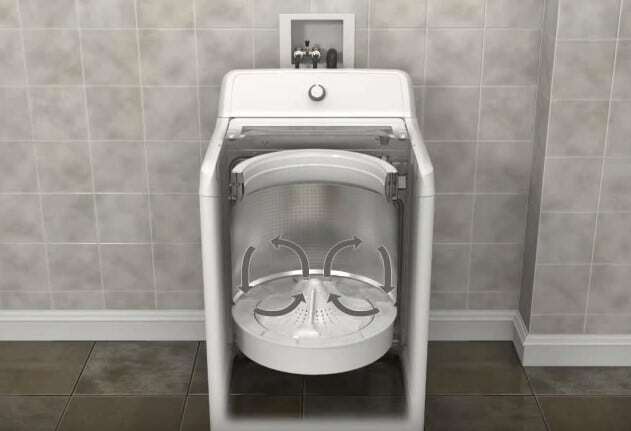 This is actually normal for an HE washing machine. Think about it. The HE stands for ‘High Efficiency’, and that’s exactly what is going on here. Using less water makes the machine more efficient. Many people think that ‘high-efficiency’ means the HE washer runs faster than a conventional or older one. However, this isn’t actually so. HE washers use fewer resources such as energy, time, and water! 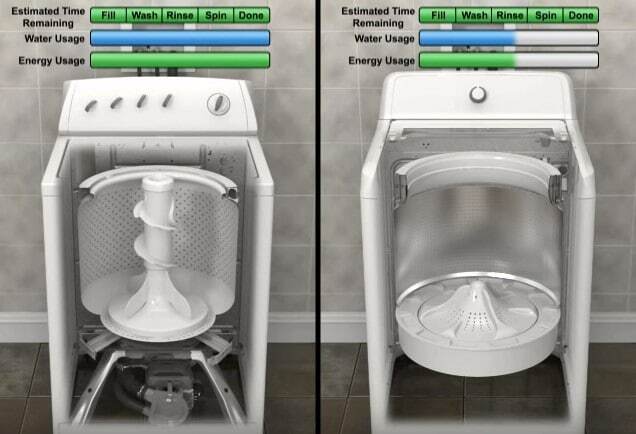 You can see in this graphic that HE washers use about half to three times less water than conventional ones use. These machines are designed to detect load size and specific fabric type. They will adjust the amount of water used to produce the optimal clean. This may cause you to think that there is a low water level on HE washers. 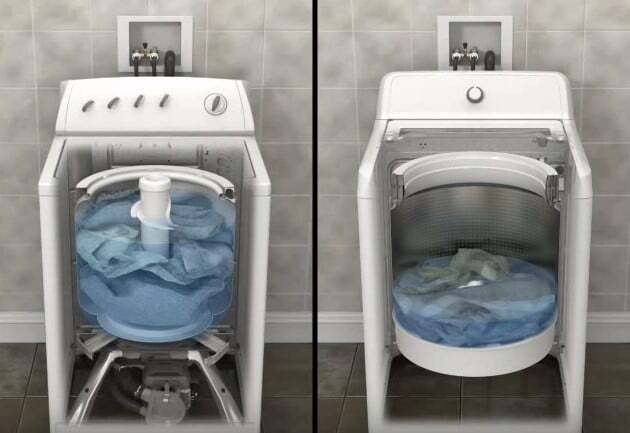 Don’t worry if you peek inside the washer and see that the laundry isn’t totally submerged in water. all your items will still be completely saturated with water. While you load your dirty laundry into the washer, you may notice that the basket moves around quite a bit or seems loose. This movement helps clean the items with a low water level on HE washer. 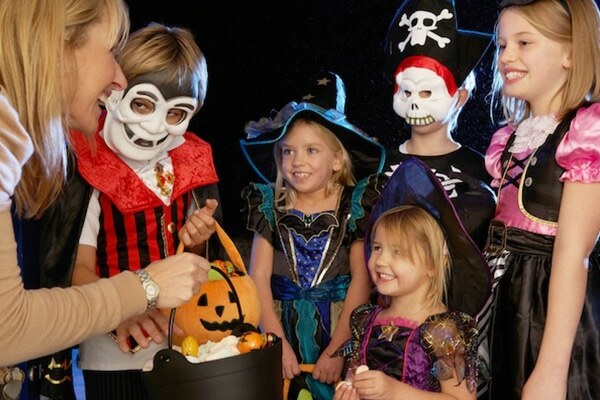 The items circulate up, down, and around inside the machine, ensuring a thorough cleaning. Because HE washers have lower water levels per load, you need to use an HE-specific laundry detergent. (You’ll see the HE logo on the label.) HE detergents are made to work well with less water than a conventional washer uses. 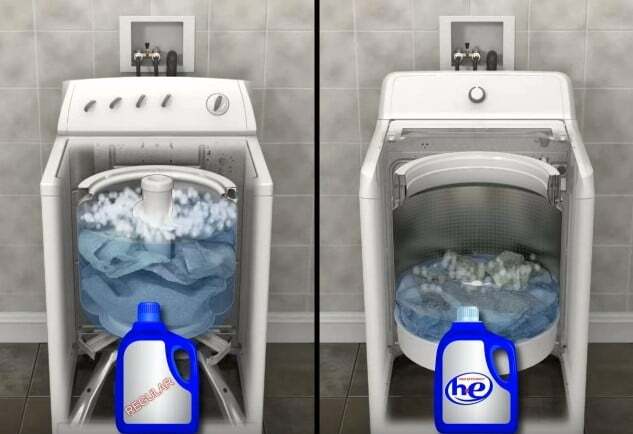 Using a regular detergent in an HE washer defeats the purpose of the machine, as it would have to run more rinse cycles to completely rinse the soap from the laundry items. So, no, you don’t need to rush back to the store to return your brand new HE washer! If the HE washer water level is low, all is well. It’s doing what it’s meant to do, save you time and money. Want to learn more about how these machines work? Check out this HE washer video from Whirlpool. 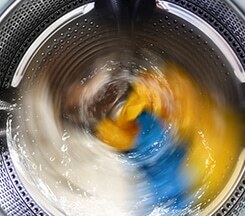 Need help with your washer repair service? Give us a call!